I was helping my dad renovate our house and while we were removing some old supporting beams I saw this awesome looking piece of cedar. It had this crazy aged look that showed the amount of time it held my house up. The cool thing is that my house is has been here since WW2 so this piece of wood is at least 70 years old. Pretty awesome. 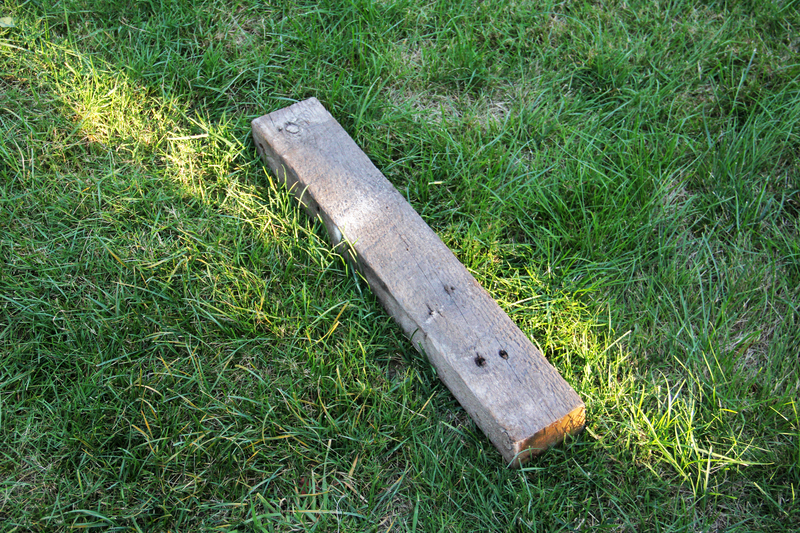 Since I had the amazing piece of cedar I had to do some extra work to get my plank of wood. I didn’t have a band saw so I had to use a table saw and cut it on each side to get my piece. The cedar beam was thick enough to give me two pieces, I saved one for another project. I used an electric sander to even out my planks. Next I traced the L bracket on one end of the piece of wood. 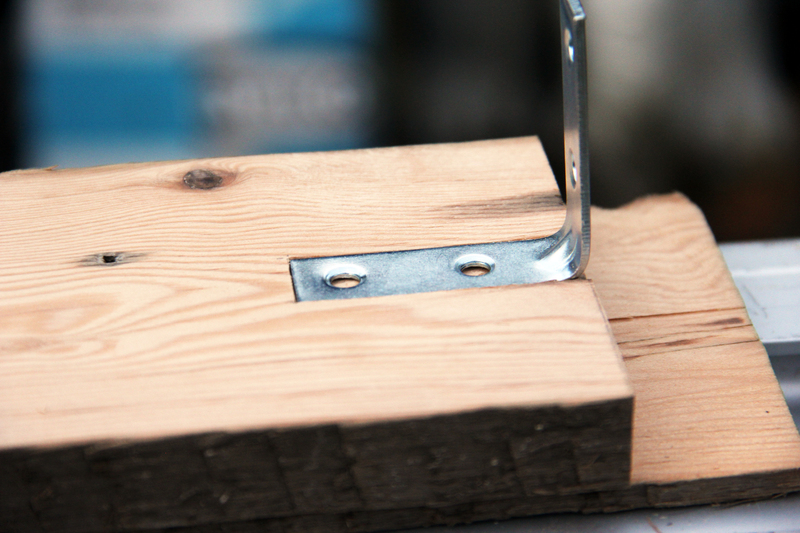 I made sure to measure the piece of wood so I can find the centre and align it with the center of the L bracket. 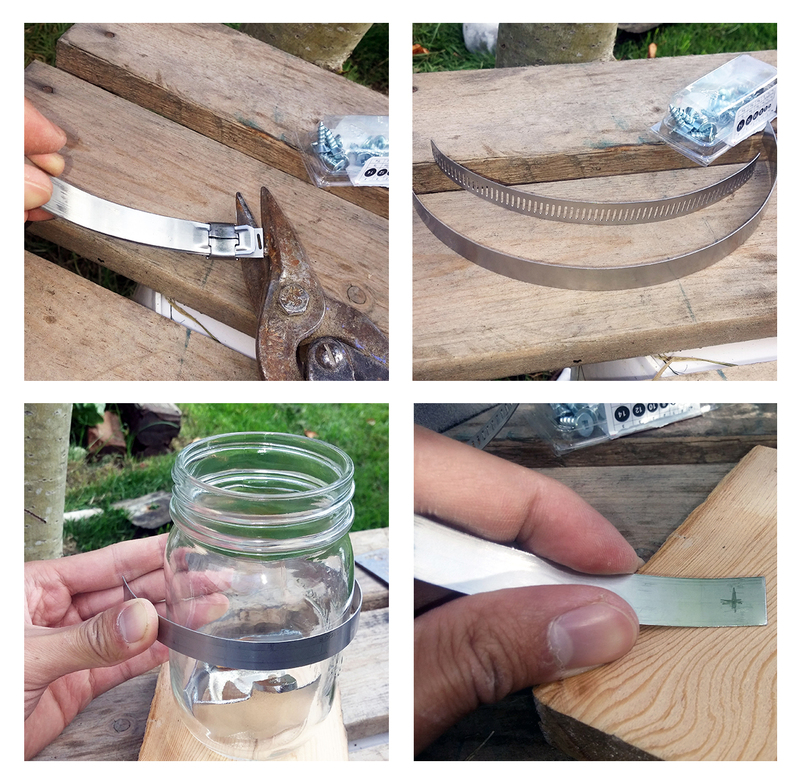 I wanted the bracket to be flush along the wood surface, so I used a utility knife and carefully cut out the tracing. Once I thought it was deep enough, I used a flat chisel and chiseled from the end of the wood to make room for the bracket. Mmmmm nice and flush. Of course this step is completely optional. It works fine if you just screw it onto the board. I used some metal shears to snip the track part of the hose clamp. The one I got was about 6″ but it didn’t completely didn’t wrap around the jar, which actually worked perfectly for me (we’ll get to that a little bit later.) I marked a point on the each ends of the metal strip and started drilling. 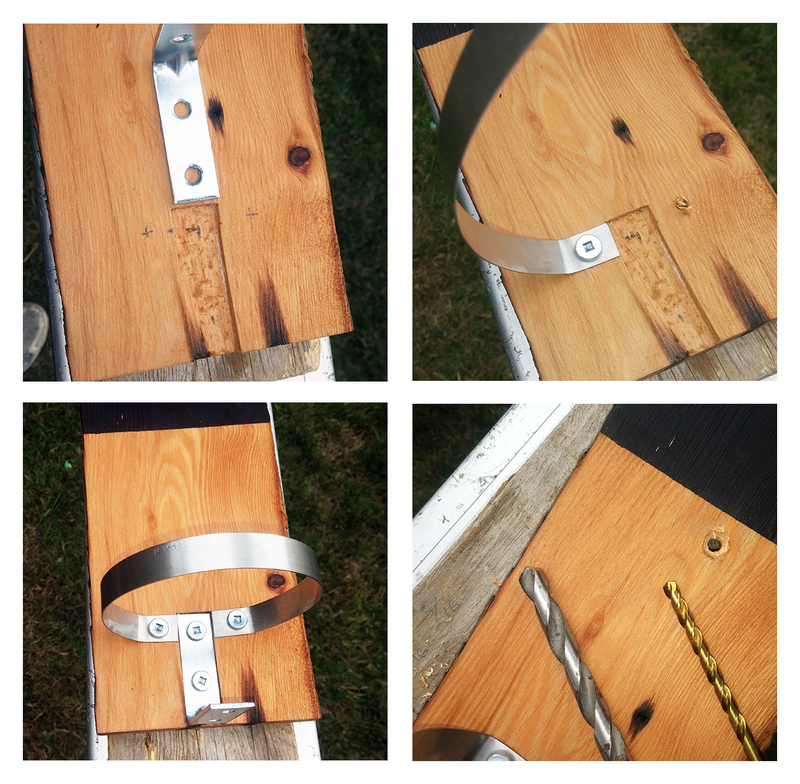 Hose clamps are usually made out of stainless steel so you will need a nice sharp drill bit. Make sure the one you’re using is made to go through metal. You can see in the picture where I’m drilling the metal that the wood is a bit wet. When drilling through metal make sure you lubricate the bit with a couple drops of water so you don’t wreck drill bit. While you’re drilling, if you start to see steam it means that you need to add more water. 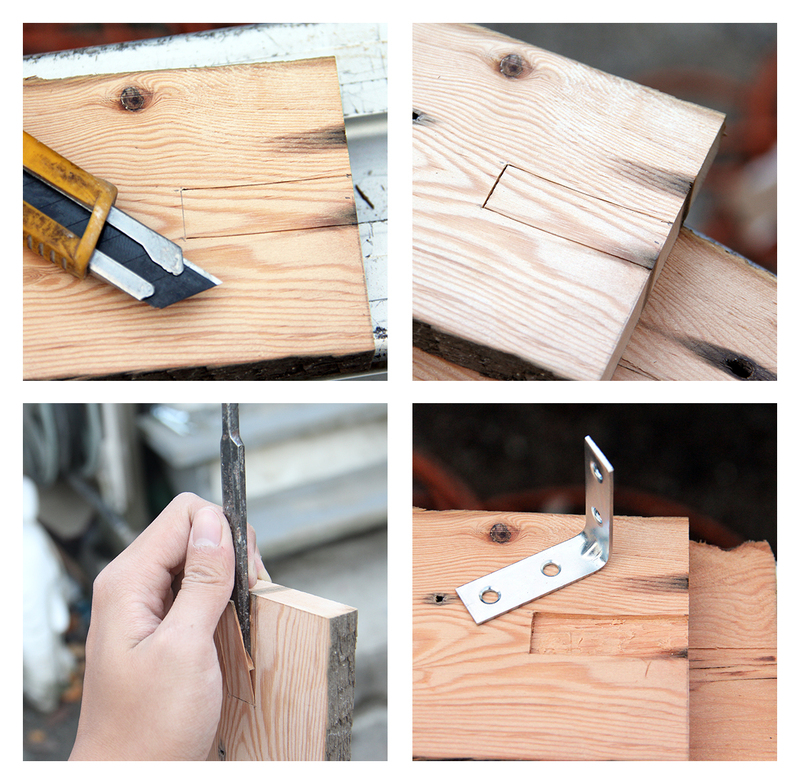 Once I drilled each end, I used some pliers and bent each end (about 3/4″ in) so that it would be easier for me to secure the strip to the piece of wood. After, I wrapped the strip around the jar to see how much of a gap I would need to get just the right size hole for the jar. 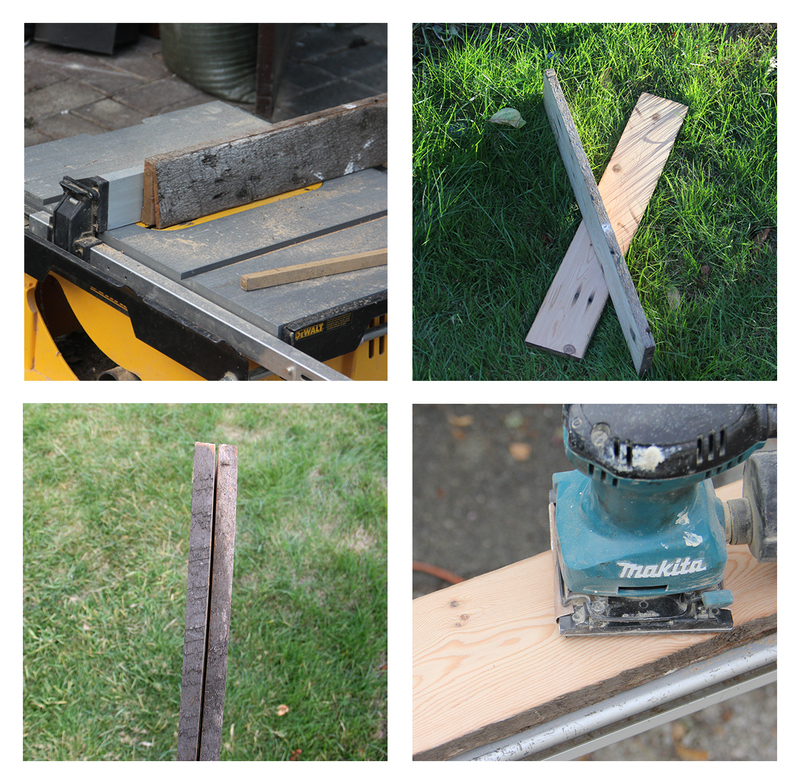 I measure that I would need about 3/4″, but just to be sure I tested it on a piece of scrap wood. You can see where I made some marks on the scrap wood and tried different distances until I was satisfied with the size of the hole. I found out that you might need to pinch the loop a bit to get a better fit. at this point I had all my pieces ready, so I painted the middle of the board with some chalkboard paint, and stained the rest of the wood to protect it from any spills or whatnot. As I mentioned before, the chalkboard part is optional. I thought it would be nice to have some black to contrast with the wood grain. Plus now you can promote what kind of beer you have in the fridge or keep track of how many drinks people have drank as a drinking game. Win win! As I mentioned earlier, the gap I needed was 3/4″ which was the same width as the L bracket. This allowed me to get a nice clean “T” when I screwed everything into place. To make it easier, and to prevent you from slipping and scratching the wood, drill some 1/4″ deep holes where you’re going to have the screws. Add the bottle opener on the top and you’re almost done! The last thing to do is to drill two holes so that you can install the board onto the wall. 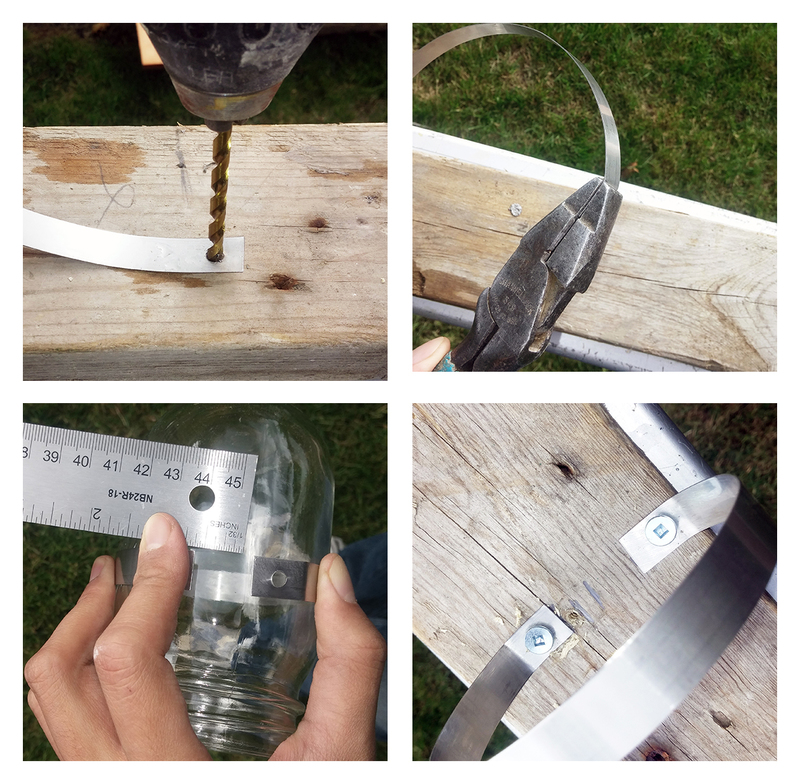 I recessed using two drill bits, with one bigger than the other. There you have it! An awesome homemade bottle opener to have in your cave. 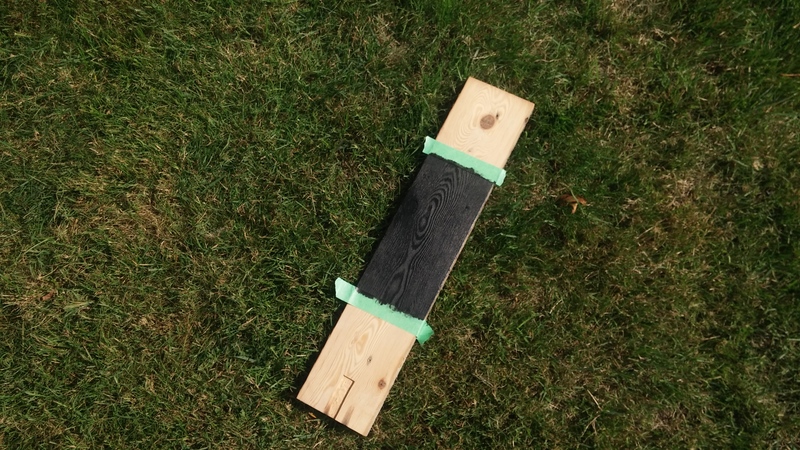 This project is very simple and doesn’t actually cost that much. 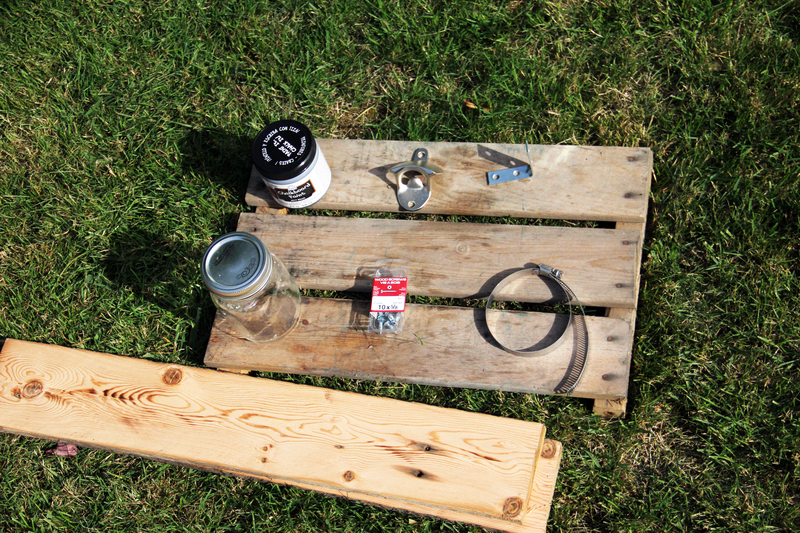 The wood was free, the hose clamp and L brackets where $5.00 altogether, the jar was $1.50, the paint was $8 (but you can now turn other things around the house into chalkboards), and the bottle opener only costed about $8.00. So altogether this project costs $22.50 which isn’t too bad. I hope you try this, and please share any tips or comments down below.